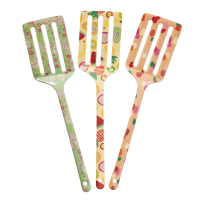 Kitchen silicone spatula, bowl scraper in either Apricot or Soft Pink by Rice DK. 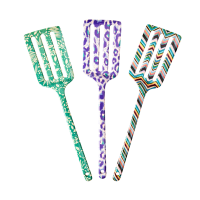 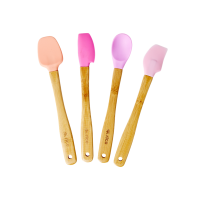 The gorgeous Soft Pink spatula has the words "Everyday Magic" whilst the Apricot has the words "Amour and Rock'n'Roll" The scraper head is made of sturdy silicone which is tolerant to high temperatures - at the same time the silicone is soft and will not scratch any surface. 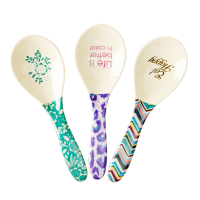 Add a touch of colour to your kitchen.